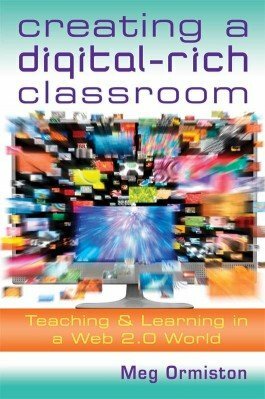 This book provides a research base and practical strategies for using web 2.0 tools to create engaging lessons that transform and enrich content. Instead of asking students to power down during class, power up your lesson plans with digital tools. Design and deliver lessons in which technology plays an integral role. Engage students in solving real-world problems while staying true to standards-aligned curricula. This book provides a research base and practical strategies for using web 2.0 tools to create engaging lessons that transform and enrich content. Learn how to use technology to support and enhance standards-aligned curricula. Gain high-tech, budget-friendly tools you can use to create highly engaged classrooms. Explore a compendium of web 2.0 tools organized for quick reference. “There is too much of a gap between how kids are learning outside and inside of the classroom. The Web 2.0 world is here, and it's here to stay, so all educators should take advantage of this incredible resource and learn effective ways to harness this technology to increase engagement and achievement. “This is NOT a book for your technology experts; they already know about most of these tools. Instead, it is for all teachers who want to discover new ways to use technology—even if it is just one baby step—in their daily teaching.